The Russian Defense Ministry said it won’t hurry with the purchase of the expensive T-50 stealth fighter, and in the meantime the Air Force will rely on the Su-35S jet fighters. "Most likely this will be part of the next State Armament Program for the 2018-2025," said Borisov, adding that the fighter still needs to be perfected and the military will not rush to buy the new expensive planes. For now their functions will be performed by the 4++ generation Su-35S fighters. "We bought a small number of the T-50s, and we’re watching how they perform in tests," said Borisov. "We’re looking for defects and will make the necessary improvements so that it will eventually be the best fighter plane possible." There is still a range of problems. In the first several years after their acquisition by the Air Force, the T-50s will have to be modernized, said Pavel Bulat, director of the Mechanics and Energy Systems international Laboratory at the University of Information Technologies. 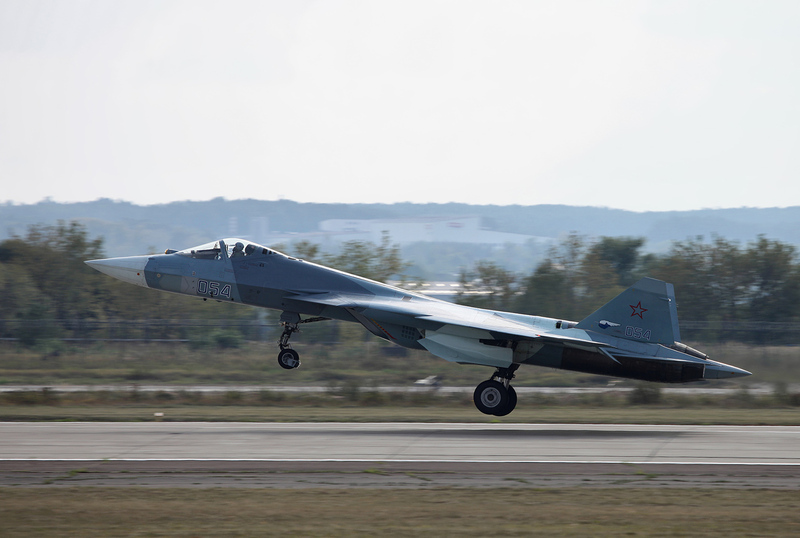 "The 5th-generation engines still do not exist, and the PAK FA still flies on modified engines from the Su-27, Su-30 and other aircraft from that series," said Bulat. The new engine under development will help the T-50 accelerate to supersonic speed and maintain that speed during flight. "I think it will have speeds of 1.6 Mach, (about 1,200 miles per hour), depending on the location over which the flight takes place," added Bulat. "The engine will also improve the PAK FA's stealth capacity thanks to new composite materials." The new jet fighter engine will be tested within the next 18 months, and it will most likely be ready for service in 2020. "In addition to the engine, two other things must be done – perfecting the radar systems, and removing the last defects in the concept of the glider, which makes it the most modern plane in the world today," said Bulat.